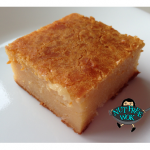 Chinese New Year Cake “Nian Gao” is a very traditional dessert with special meaning in the Chinese culture. 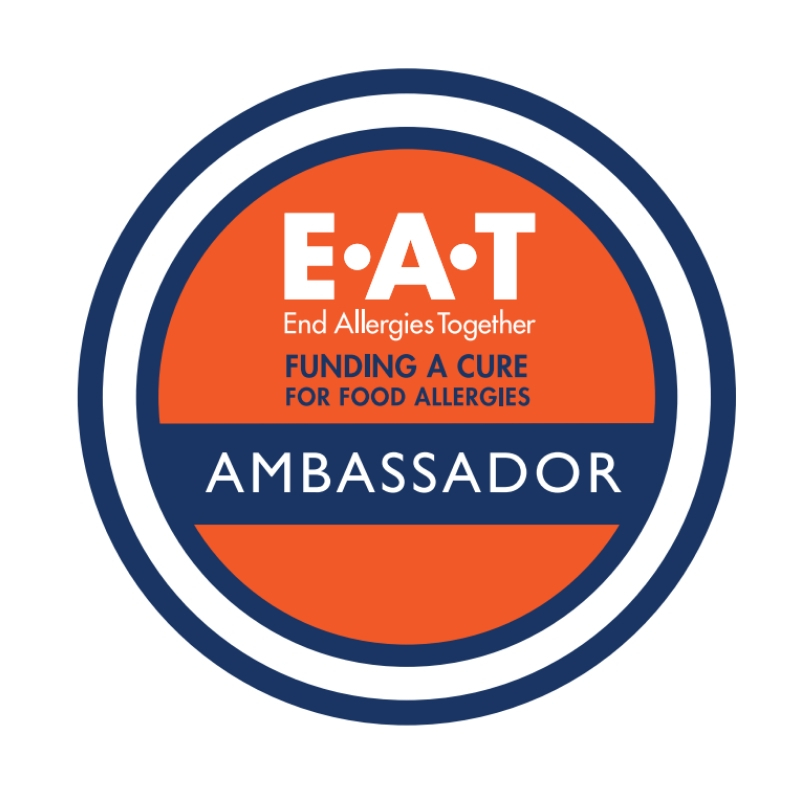 It happens to be free of the top 8 food allergens and very allergy friendly. Right after January 1st of each year, my parents spent almost every weekend preparing for Chinese New Year, now also referred to as Lunar New Year to include other Asian cultures that celebrate. My parents bought extra food, cleaned the house, and withdrew newly minted crisp dollar bills from the bank to fill red envelopes with “lucky money.” My cumulative memories of Chinese New Year include vases of beautiful pink quince blossoms on otherwise bare branches, tangerines with little red envelopes next to them, lots of candy and sweetened dried fruits, festive fire crackers and lively dragon dances. One of the best parts of Chinese New Year for a child is to greet our elders with “Gung Hay Fat Choy” which means “May You Be Happy and Prosperous” in Cantonese and then receive red envelopes containing “lucky money.” I definitely felt lucky to grow up with a huge extended family with many family friends and definitely rich with tradition and fond memories. 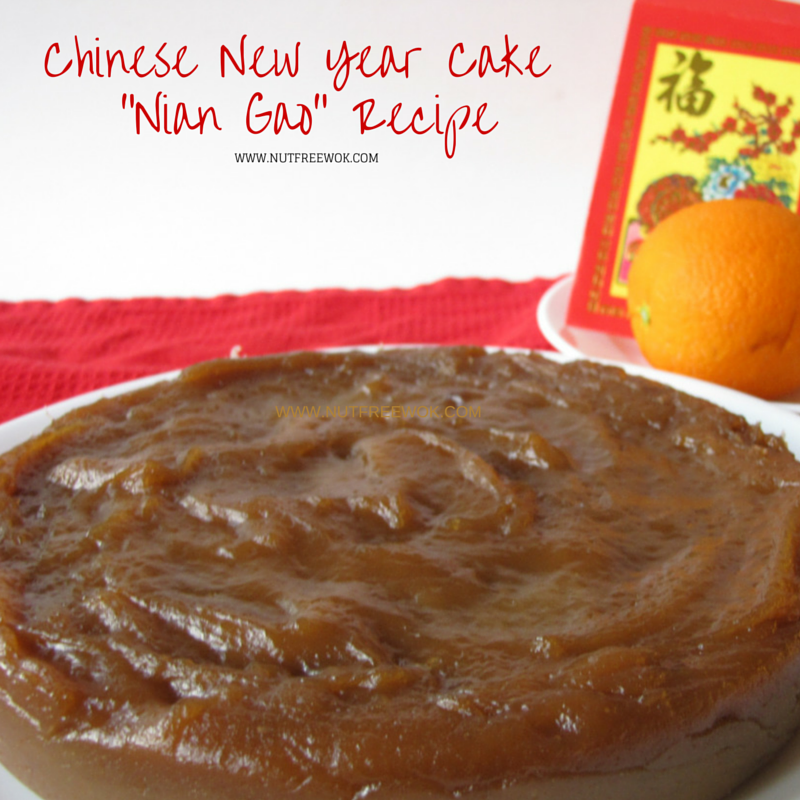 My mom always made a New Year cake, also known as nian gao. Even though the words nian gao mean “year cake,” the words sound like “year higher” and symbolize prosperity or promotion or children growing taller. My mom stirred a brown sugar syrup into sweet rice flour, plopped the gooey mass into a stainless steel bowl lined with bamboo leaves, and steamed it until the windows fogged up with condensation. She made it a day or two before Chinese New Year but we couldn’t eat it until then, which was just as well because the nian gao was way too sticky to cut, serve, touch or eat on the first day. Each day the cake became a little less sticky and a little more firm, until it was too dry and too hard, at which point my mom would either steam the cake again, pan fry slices in oil, or dip slices in egg and pan fry them like french toast. 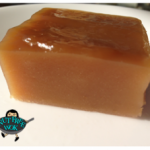 I am excited to share this particular recipe because nian gao is vegan, gluten-free, and free of the top 8 allergens, whoo-hoo! 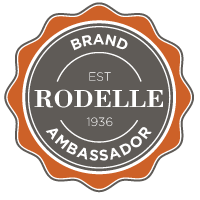 And I was thrilled to find out that my mom’s favorite sweet rice flour by Koda Farms (affiliate link) is produced in a rice only facility that is free of the top 8 allergens, gluten free, and GMO free. How awesome is that? 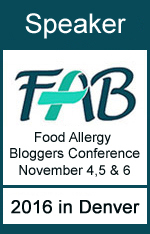 Check out their allergen statement just for the thrill of it. If you can’t find their rice flours in your local store, their website has instructions on how to mail order from them or you can order online via Amazon. A traditional recipe uses Chinese brown sugar bricks called pian tang but brown sugar is an acceptable substitute that is readily available. This recipe has been approved by both my mother and my mother-in-law so you can count on it to be delicious. If you are ever offered a piece of nian gao that is store bought or made by someone else, be sure to ask what are the ingredients as nian gao could be made with peanut oil, almond extract, red bean paste, stewed pork belly, lotus seeds, egg yolk, milk, coconut, etc. and it’s best not to assume that all nian gao is vegan or allergen free. 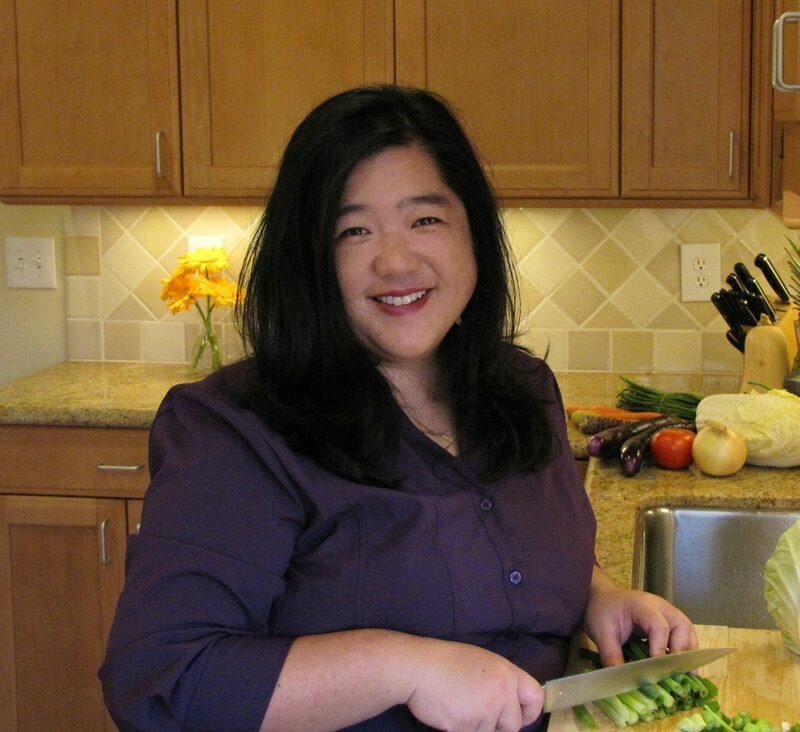 For a savory rice cake stir fry dish for Chinese New Year, try my recipe for Rice Ovalettes with Pork and Vegetables Stir Fry Recipe (Chao Nian Gao). Enjoy the Chinese New Year cake recipe and “Gung Hay Fat Choy!” May you and your loved ones be blessed with good health, peace, and overflowing joy. This recipe as written is vegan, gluten free, and free of the top 8 allergens. Sweet sticky rice cake, free of top 8 allergens. Oil a pie plate or round cake pan with 1/2 teaspoon of oil. Add 1 1/2 inch of water to a large pot with a tight fitting lid and a steamer rack and bring water to boil. Measure 3/4 cup water in a glass measuring cup, add brown sugar, and microwave for 1 minute until the sugar is dissolved. Pour sweet rice flour into a large bowl, add the brown sugar water, 3/4 cup of water, oil and vanilla extract. 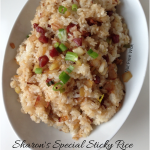 Stir to combine until the rice mixture is smooth and free of lumps. Transfer the rice mixture into the prepared pie plate and smooth out the top. Set the cake inside the pot and steam for 1 1/2 hours. Check the water level of the pot periodically (avoid letting the condensation from the lid drip on the cake when lifting the lid) and replenish with hot water as necessary. Allow the cake to cool completely, cover with plastic wrap, and the cake will be ready to serve the next day. Sweet Rice Flour by Koda Farms can be purchased in Asian Markets for about $3-4 per box. But if you can’t find it locally, you can also order directly from their farm or via Amazon (affiliate link). 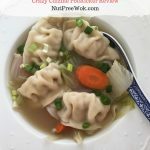 If you enjoyed this post, please use the social media buttons below to share with others and subscribe to Nut Free Wok’s email subscription to be notified by email next time I publish another post or recipe. 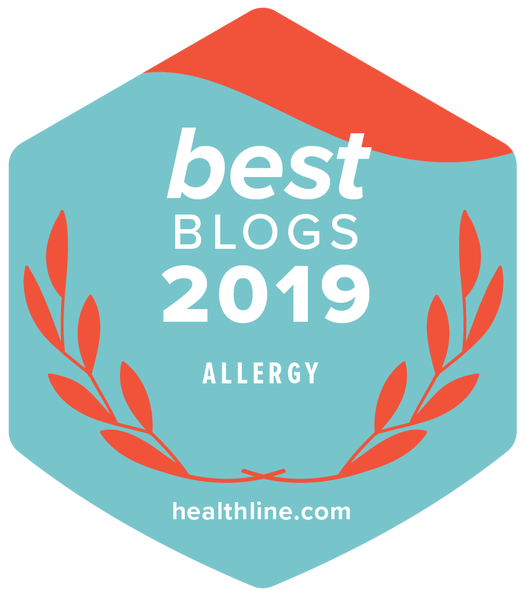 Food Allergy 101: 1, 2, 3…504 Plan! 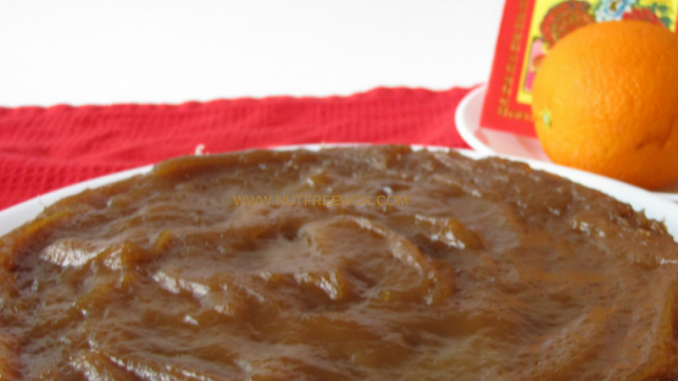 I love nian gao – my mom used to make it when I was growing up too. I haven’t made it in years, but hopefully I’ll get to it this year. We’re both so lucky that our moms made Nian Gao for us when we were little. I think I’ll make one for my mom this year. 😉 Enjoy and happy new year, Jeanette! Bebinca sounds like something I would like, thanks for mentioning it! 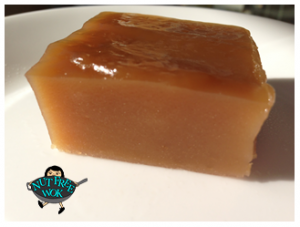 “Nian Gao” is soft and chewy, like taffy the first day, like a gummy candy the second day, and it gradually hardens by the third day. When it’s too hard, I like to either re-steam it or pan fry it with an egg (like french toast) or plain. Enjoy! Sharon, I just made these for the first time (and actually halved the recipe). Who knew this was so easy? I made it just so we can pan fry with egg. A taste from my childhood that I’m sharing with my 12-year old (who loves it too). Thank you so much for sharing! Helena, I’m so glad you loved the recipe. I fried nian gao with egg this weekend too and forgot to take a picture for a recipe on how to make it. It’s really the best part of Chinese New Year, LOL! 😉 Thanks for your kind message, you made my day! Sharon, I can’t wait to try your recipe! My aunt pan-fried slices of Nian Gao at yesterday’s Chinese New Year dinner but I only got a few. I need more! And I can’t believe we only eat this once a year when it’s so delicious. I’m with you, I love pan-fried nian gao! I just found your website and am very excited to try some of your recipes. I’m originally from Hawaii and I fee up eating these dishes! 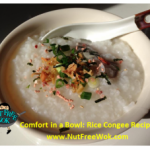 Have you ever made the gao in an Instant Pot? Wondering how long I would steam It? Hi Sandee, I’m so glad you found my site. That’s such a great idea to make the nian gao in the IP! I will try it and let you know. I have to find a large enough container that will also fit into the IP. How long will this last after it is put in pie pan and covered? Maybe a week or ???? That’s so thoughtful and kind of you! I’m glad you enjoyed the recipe. I followed this recipe to the dot and my dough ended up too dry and not the texture you would see from other nian gao recipe/videos.. In what world does 1.5 cups of water and 1 pound of flour match up to a liquidy consistency? Hi DAG, thanks for the feedback. I made the recipe after reading your comment and it came out as expected. When I add 1.5 cups of sugar to 3/4 cups of water to heat up, the volume actually goes up to nearly 2 cups and then I later add the remaining 3/4 cups of water to the batter. I posted a video of how the batter should look on Twitter, I hope that helps you for future reference.